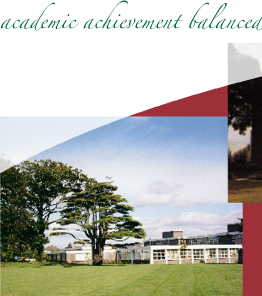 Mercy College is a voluntary, Catholic secondary school under the trusteeship of CEIST, and in the tradition of the sisters of Mercy. We endeavour to build a Christian community, in an atmosphere of respect for the dignity of all. With the co-operation of parents, students and the community, we the staff will work to foster the academic and personal development of the students by creating a caring, safe and ordered environment where all are encouraged to become responsible persons striving to reach their full potential. Mercy education is committed to holistic development and to the achievement of the full potential of each student. 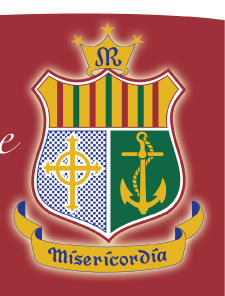 Mercy education is committed to on-going whole school development in collaboration and partnership with the Board of Management, staff, parents and the wider community. The central purpose of the school community is the religious, moral, intellectual, physical and social education of the student. The school community seeks to create an atmosphere of Christian care and concern in which each student can grow to maturity. It is our goal to create a school where we care for each other and where all can be confident that each individual feels safe and valued. 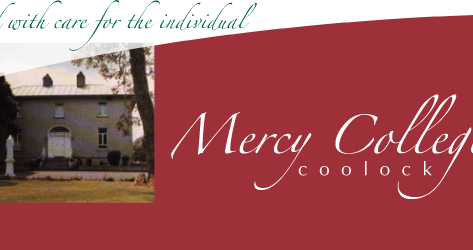 Do you have any photographs of your time in Mercy? the very best of life! Ms. Patricia Dwyer B.A., H.Dip., M.Ed. Mr. Donal O' Mahony B.Tech (Ed. ), M.Ed.